Troubled mobile phone maker BlackBerry has taken preliminary steps to sell to a consortium led by its largest shareholder. BlackBerry announced on 23 September that it had signed a letter of intent from a group of private investors to pay shareholders $9 (£5.63) a share in cash to take the company private. The $4.7 billion (£2.94 billion) offer from Fairfax Financial Holdings, a Canadian insurance and investment company that already owns about 10 percent of BlackBerry, is a powerful symbol of the phone maker’s decline. The once-dominant mobile handset maker’s North American market share has slid from 51 percent to less than 4 percent in the past four years. The offer came after BlackBerry announced on 20 September that it was cutting 4,500 jobs and expected a quarterly loss of nearly $1 billion (£626,000). 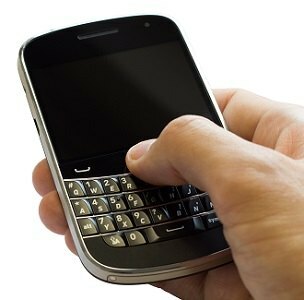 The loss is attributed to the failure of the BlackBerry 10 line of phones, which were supposed to revive the company. Market analysts say that going private would shield Blackberry from Wall Street pressure and enable the company to reorganise. BlackBerry will continue to make mobile handsets while focussing on plans to expand its software business. The company hopes to push its new software application that allows corporations to control and manage employees’ mobile devices, including iPhones and Android-based phones. It has also made efforts to turn the BlackBerry Messenger instant-messaging service into a social media service.